At the very outset, do accept our greetings & regards. It gives me immense pleasure to forward the complimentary link containing the Inaugural Issue of our Engineering International (EI), circulated all over the world, for your ready reference and record. If your good-self have any queries, please feel free to contact us. With sincere regards. We are glad to announce that ABCJournals.Net introduce signed digital certificate for author. Proudly show your connection with ABC Research House. 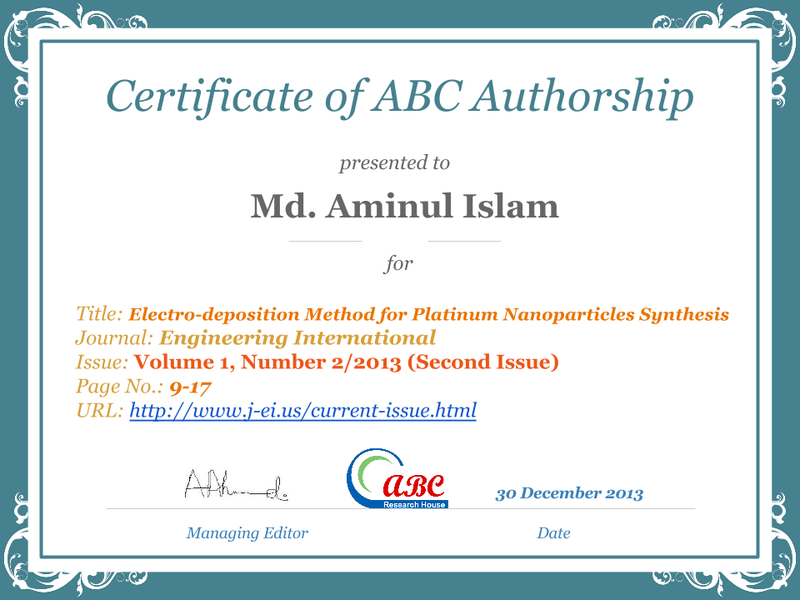 Contact ABC Technical Team (abcjournals4@gmail.com) with Author name, Journal name, Paper title, Volume and Issue no. ABC Technical Team will generate two business day after payment to deliver your certificate. On behalf of the Asian Business Consortium, we would like to invite you to submit your valuable contributions in 4A Journal. Asian Accounting and Auditing Advancement (4A Journal) invites high quality research/review articles for publication. Full papers written in English and not submitted or published elsewhere, should be submitted in MS WORD format (PDF and other formats cannot be accepted) through the website (online submission system: http://www.abcjournals.net/paper-submission.html). Upon acceptance, the author (or in case of a jointly-authored paper, one of the authors) will be required to pay the publication fee. Fee includes publication fees, one specimen copy of the published hard copy, inclusion in online archives and peer reviewing process. 4A Journal is published in both print and online versions. Publication fee is US$100/BDT 7,900 (excluding hardcopy). 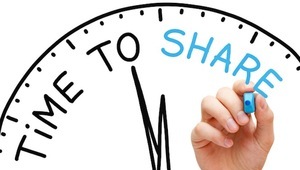 50% Publication fee will be waived for papers submitted within May 06, 2014. It gives me immense pleasure to forward the complimentary link containing the Inaugural Issue of our International Journal of Reciprocal Symmetry and Theoretical Physics, circulated all over the world, for your ready reference and record. Fees: IJRSTP publishes online and print version both. If the paper is accepted for publication, author(s) will not be asked to pay any processing or publication fee in order to defray the operating costs. IJRSTP, a specialized journal, publish high quality paper from the discipline only within its scope. Completely free publication. Authors will get two hard copies of the published issue. It gives me immense pleasure to forward the complimentary link containing the Current Issue of our Asian Journal of Applied Science and Engineering, circulated all over the world, for your ready reference and record. Asian Journal of Applied Science and Engineering Current Issue: Click to Read Online Archive Note: The accountability of the article published in AJASE is entirely of the author(s) concerned and not of the publisher/editor. The view expressed in the articles of the journal is those of the contributors, and it does not essentially correspond to the views of the publisher/editor. It is responsibility of the authors to seek copyright clearance for any part of the content of the articles. The publisher/editor of the journal is not liable for errors or any consequences arising from the exercise of information contained in it. ABC Research House publishes journals presenting the latest research and covering a broad range of subjects. Browse one of our journals from the link ABCJournals.Net. Each journal home page provides specific information for potential authors and subscribers. Journals patronized by this house are licensed under a Creative Commons Attribution-NonCommercial-NoDerivatives 4.0 International License. This license only allowing others to download our works and share them with others as long as they credit us, but they can’t change them in any way or use them commercially.